Still, today, it just sounds so fresh. It sounds full of ideas. These guys knew what they were doing. They're good. And they're inventive. 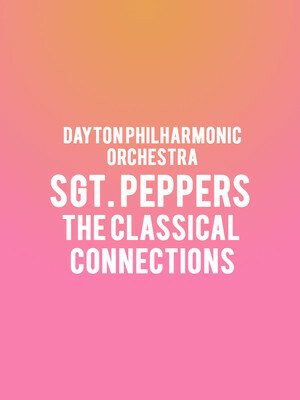 Why See Dayton Philharmonic Orchestra - Sgt. Peppers The Classical Connections? 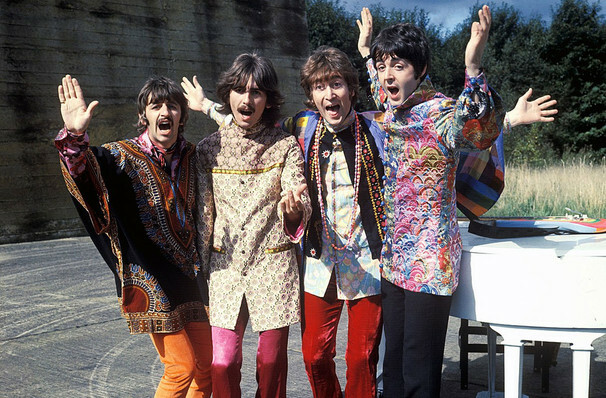 Performing the innovative, world-changing album in its entirety, the Classical Mystery Tour rock ensemble joins forces with the Dayton Philharmonic Orchestra and its Artistic Director Neal Gittleman to conjure the joyful whimsy, familiar warmth and psychedelic exoticism of songs like 'Lucy In The Sky with Diamonds', 'Lovely Rita', 'When I'm Sixty Four' and 'A Day In the Life'. The special Classical Connections Edition of the hotly anticipated concert includes a casual Q&A discussion after, as well as an Ice Cream Social that includes a free scoop of hand crafted ice cream from local franchise Greater's! Sound good to you? Share this page on social media and let your friends know about Dayton Philharmonic Orchestra - Sgt. Peppers The Classical Connections at Mead Theater.